The 2016 Olympic Games have begun, and Team USA is heavily favored to win another gold medal in men’s basketball. This is the seventh team of NBA players to compete in the Olympics. Comparisons to the 1992 “Dream Team” — the first to feature NBA players, and supposedly the gold standard for all U.S. basketball teams since then – have become inevitable. There was actually another Olympic “Dream Team” 32 years earlier, comprised entirely of players who had not yet turned pro. Coached by Pete Newell and co-captained by Jerry West and me, that team won all eight of its games by an average margin of 42.4 points. Then there was a third “Dream Team,” one you’ve probably never heard of. 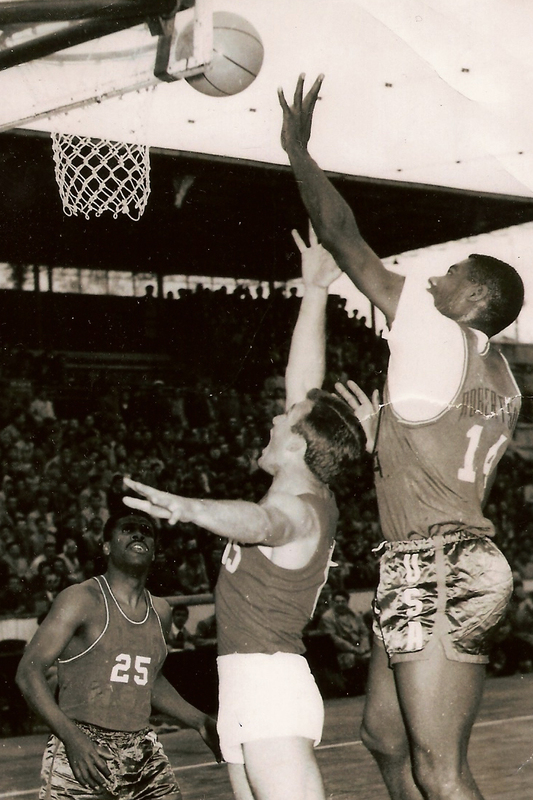 It was actually the first team of NBA players to tour overseas on behalf of the USA — in 1964. I was a member of that team. Our “Dream Team” of NBA all-stars was put together for a State Department goodwill tour. We played 19 games in the Iron Curtain countries of Poland, Romania and Yugoslavia — which doesn’t even exist as a country anymore — and two games in Egypt, winning them all by large margins. We also put on clinics in every city we visited. Our team was personally selected and coached by Red Auerbach, the most successful coach, general manager and team president in NBA history, and anchored by Bill Russell, who won 11 NBA titles. We only had eight players: Boston Celtics’ Russell, Tom Heinsohn, KC Jones and Bob Cousy (retired a year earlier and then coaching at Boston College); Jerry Lucas and me from the Cincinnati Royals; Bob Pettit from the St. Louis Hawks, and Tom Gola from the New York Knicks. Russell, Jones, Lucas and I had been Olympic gold medalists, all of us were all-NBA, and all eight players plus Red are now in the Hall of Fame. But our “Dream Team” has essentially been forgotten by the NBA, the media, even our own State Department – just as we were largely ignored in our own country back then. But there’s a particular reason this tour should be remembered, which I will get to in a moment. 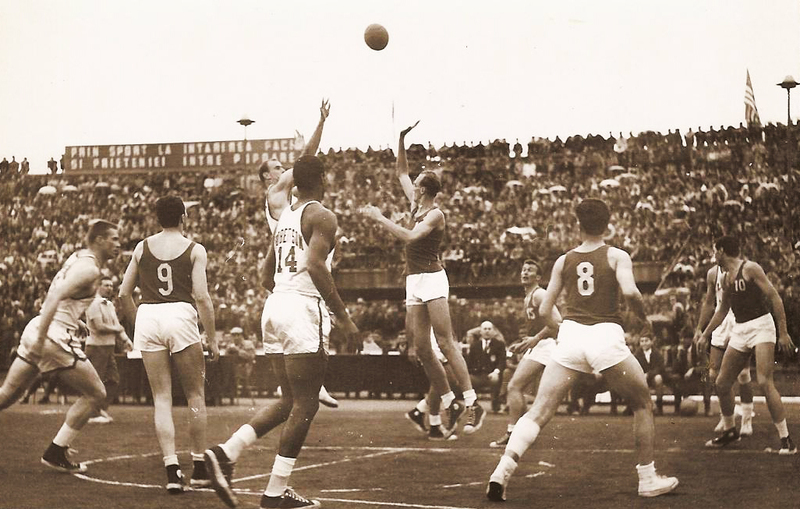 In the 1960 Olympics, the “Original Dream Team” not only won all eight games by an average margin of 42.4 points, but our games were essentially clinics in how the game should be played. We had nine future NBA players, five of whom are now in the Hall of Fame. We had a brilliant and innovative coach in Pete Newell, and when other coaches saw how well his approach to the game worked, he was soon asked to give his own clinics all over the world. He did that for years and was rarely compensated for doing so. Autographs of all the tour party..
Three years after our sweep, however, a new Team USA did not fare as well. 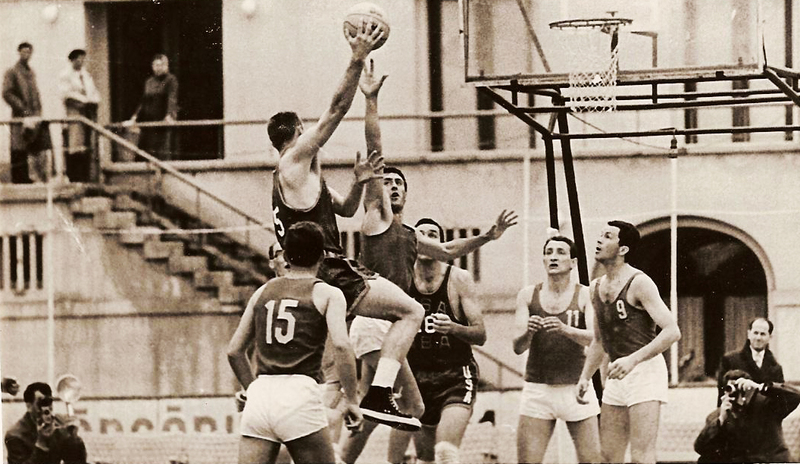 It won the 1963 Pan American Games, but only finished fourth in the FIBA (International Basketball Federation) World Championship tournament in Rio de Janeiro, losing to Russia, Yugoslavia, and eventual champion Brazil. That team featured three future NBA players in Willis Reed, Lucious Jackson and Don Kojis, and nine other guys you never heard of. The results in Rio did not go over well in the White House. It was the height of the Cold War and Team USA had lost to two Communist countries. So President Lyndon Johnson instructed the State Department’s Interagency on International Athletics to work on restoring American basketball to its rightful place in the eyes of the rest of the world. A State Department official who knew Red asked him to put together a team to tour Russia, Yugoslavia, Poland, Romania and Egypt following the 1964 NBA season. The Russians took a look at the roster Red had put together and decided not to admit us into the Soviet Union. In the other four countries, we were welcomed with open arms. For one thing, they knew our games were likely to sell out, and the gate receipts would help build their local basketball federations. By the time Red called me about the tour, 1964 had already been a very eventful year, marred only by the continued inability of our Cincinnati Royals team to get past the Boston Celtics in the Eastern Division finals. I was named MVP of both the 1964 All-Star Game and MVP for the entire NBA season, becoming only the second guard after Bob Cousy to win that honor. I was also becoming increasingly active in the National Basketball Players Association, of which Tom Heinsohn was president and Bob Pettit first vice president. That 1964 All-Star Game, the first scheduled for national television, almost did not happen. Heinsohn had organized a boycott, and it was not lifted until the owners agreed to recognize our executive director Larry Fleisher as our authorized bargaining agent and to meet with him to discuss a pension plan and improved working conditions. This boycott became known as “the 22-minute strike that changed professional sports.” We were finally able to negotiate a true collective bargaining agreement instead of just accepting whatever master agreement the owners put in front of us. Before the NBA All-Stars tour began in May, we were summoned to Washington, D.C. Secretary of State Dean Rusk and other State Department officials briefed us, and we visited the White House, where Johnson wished us well and encouraged us to do our best in representing our fellow Americans. We began our tour in Warsaw, Poland, without Red, who was occupied with the NBA draft. Cousy coached our first two games, which we won by 20 and 28 points. When Red joined us in Krakow, Poland, he felt like we were taking it too easy on the opposition, so we blitzed our next two opponents by 49 and 44 points. While the tour was originally scheduled to last four weeks, the host countries kept asking for more games and clinics, so we were on the road for six weeks. We played national teams, military teams, college teams, and what were essentially pickup teams. To this day I could not name all the cities in which we played. I remember Warsaw; Krakow; Bucharest, Romania; Belgrade and Zagreb, Yugoslavia; and that’s about it. Otherwise, for NBA veterans accustomed to the endless grind of an 81-game schedule, it was a road trip much like any other. But for the host countries, our tour was a big deal. They may have had less than state-of-the-art facilities — in fact, we played quite a few games outdoors in soccer stadiums — but they were hungry for improvement. In Zagreb, there were 16,000 people in a soccer stadium waiting for tipoff. But our local hosts were not flying the Stars and Stripes alongside their national flag, and they were not planning to play our national anthem. So Red pulled us off the court and refused to play. After a tense delay, our flag was finally raised, our national anthem was played, and we beat the Croatian team by 32 points. Then we beat them again the following night by 52 points. Tom Heinsohn shooting the hook shot, Jerry Lucas under the basket. Our European opponents were well-conditioned. The games could be pretty physical, and the level of competition was better than we expected. They basically worked the ball around to an open man who could shoot from outside, and they were pretty good outside shooters. But they were not very adept at running a motion offense or creating shots off the dribble. And they did not have much of an inside game, not that it would have done them much good anyway with Russell lurking under the basket. As for us, we had almost no preparation. We were chosen not only for our skills but our basketball IQ. Red was never big on Xs and Os to begin with; his teams were built on speed, conditioning, rebounding, defense, and a balanced attack. Since NBA teams played each other so often back in those days, we all knew the Celtics’ plays anyway. Now, you’d think a team of eight NBA All-Stars would get a lot of media coverage, right? Well, we may have been covered in the host countries, but back home we got virtually no coverage at all. In 1964, there was no ESPN, TNT or CNN; there were three TV networks and two wire services, and the NBA was a distant third to baseball and football in terms of media coverage anyway. A couple of articles made their way onto the wire, Heinsohn sent some dispatches to the Boston Globe, there was a post-tour article in Sports Illustrated, and that was about it. If there is film of any of our games, I’m unaware of it. I also do not recall any embassy receptions except one, or press attachés traveling with us. We did have a tour manager, who spoke several languages and I assume worked for the State Department; he actually looked more like he worked for the KGB. Who knows, maybe he was a double agent. Two years ago, we suggested to the NBA and the State Department that they observe the 50th anniversary of our groundbreaking tour. Perhaps persuade the president to hold a White House reception and invite representatives of the countries we visited. We got little or no interest from either party. 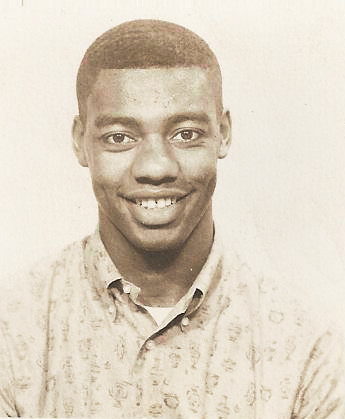 Prior to the 2014 NBA All-Star Game, TNT did air a one-hour Oscar Robertson special hosted by Chris Webber that included a segment on the 1964 tour, and I’m grateful that at least someone recognized the importance of what we did. With the Olympics in progress, there’s a particular reason our 1964 “Dream Team” tour is particularly relevant given the discrepancy between how we represented America to the rest of the world, and the reality of the way things were at home. There’s an eerie parallel to the way things are today. Robertson going to the hoop, K.C. Jones (No. 25) in the rear. Even before we undertook our tour, American artists who toured for the State Department – especially jazz artists, their music made popular worldwide by Voice of America radio broadcasts – were very familiar with this discrepancy. Beginning in 1956, Dizzy Gillespie, Louis Armstrong, Dave Brubeck and Duke Ellington undertook State Department tours behind the Iron Curtain or in other “hot spots” around the globe. Abroad, they were treated like royalty; at home, they and their band members were often treated as second-class citizens. Armstrong actually canceled a tour in 1957 because he believed President Dwight D. Eisenhower was moving too slowly on enforcing the integration of schools in Little Rock, Arkansas. In the America we were representing as athletes, black Americans in many areas of the country still risked injury or death if they tried to exercise their right to vote, or any other constitutional right. Not only was segregation rigidly enforced, but a black person could pay a severe penalty for drinking from the wrong water fountain, not yielding the sidewalk to a white person, or even looking at a white person the wrong way. There were only about 40 black players on the nine NBA teams at the time, many of them from the South and very familiar with these conditions. By the summer of 1964, also known as “Freedom Summer,” black America was letting the world know in no uncertain terms that enough was enough. The civil rights movement was in full steam, with a focus on voter registration. Johnson’s Civil Rights Act was making its way through Congress, and white supremacists in southern states were pushing back violently. Homes, churches and stores were being burned. Shortly after we returned home, three civil rights workers in Mississippi – Andrew Goodman, James Chaney and Michael Schwerner – were abducted and murdered by local law enforcement and the Ku Klux Klan. Bob Pettit shooting the jumper, Heinsohn on the far left, Oscar Robertson (No. 14) in the middle. So here we are 52 years later, and black Americans are still being killed by the police in disproportionate numbers, and some good cops who know this is wrong – a direct contradiction of their oath to protect and serve – observe the code of silence. And now police officers themselves have twice been ambushed by assailants using assault weapons, which have no business being sold to the public in the first place. The 1965 Voting Rights Act has been gutted, and reactionary forces are once again determined to deny people of color the right to vote. Economic conditions for many black Americans have still not improved greatly; in fact, they’ve regressed in some situations. We’ve won the right to speak out – let’s use it. But there’s one major difference between 1964 and today. Back then, black athletes and entertainers were strongly discouraged from speaking out about racial inequalities. An entertainer could find his or her career derailed. A team owner could get rid of an athlete for any reason he chose, or for no reason at all. The reserve clause bound athletes to one team for life, restricting not only freedom of movement, but our constitutional right to freedom of speech. It took six years of legal action for the Oscar Robertson Rule to get rid of those restrictions. Today, more and more high-profile athletes are finally speaking out against injustice, honoring the legacy of people such as Russell, Muhammad Ali, Jim Brown, Tommie Smith and John Carlos, who previously put their careers on the line. I applaud LeBron James, Chris Paul, Dwyane Wade and Carmelo Anthony – a member of this year’s Team USA – for their recent statements at The ESPYS. Carmelo says he’s ready to take on a leadership role, and I hope he does. I applaud all the other athletes who have spoken out, and encourage more of them to do likewise. But it’s become painfully obvious that we need to do much more than just speak out. Public statements alone will not change anything. We need to build coalitions with individuals and organizations who can actually bring about change, and work with them to keep pushing until the walls start to come down. I hope both active and retired athletes, and their players associations, will get personally involved in grassroots action, in reaching out to those who – whether out of fear, ignorance, or greed – think the status quo is perfectly OK, in creating a society that is truly reflective of who we say we are. For starters, maybe we need State Department sports and cultural tours on American soil to change the hearts and minds of our own people. Assistance in putting this article together came from Grigore and Tudor Costescu of Romania, who supplied the photos. Grigore (d. 2008) was a member of the Romanian national team in 1964; he was a coach for many years and his son Tudor still is. 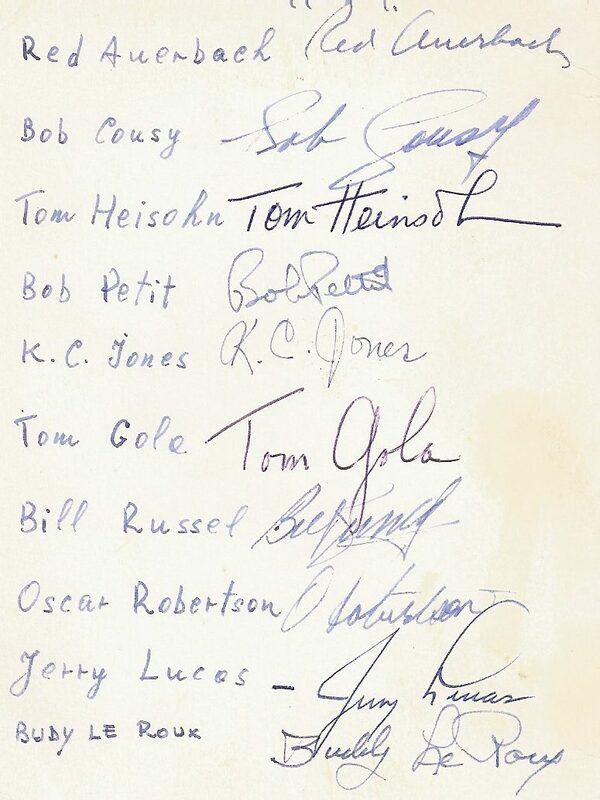 The Association for Professional Basketball Research, www.apbr.org, has material on the 1964 tour on its website. Michael O’Daniel, Tom Heinsohn and Bob Pettit also contributed.